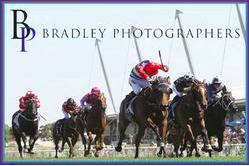 Kim Waugh Racing Stables :: Our Century Finishes 2nd in ATC Cup on Saturday at Rosehill! Our Century Finishes 2nd in ATC Cup on Saturday at Rosehill! Our Century continued on his super-consistent way with a hard fought 2nd in the Listed ATC Cup at Rosehill on Saturday! With the pace genuine up front then very quick from the 800m, Our Century which had settled outside the leader, was put out of his comfort zone a long way from home which in turn negated his turn of foot at the business end. He will enjoy a couple of days rest and relaxation at Mahtoum Lodge before running in two weeks time in the Listed 2400m Xmas Cup at Randwick!